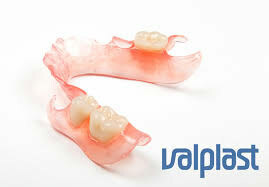 If you have a big BROKEN PART of a tooth but the base is sound and above the gum, a Crown or full cover ‘cap’ will be placed. 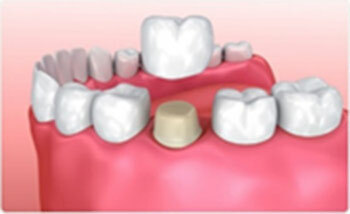 Under anaesthesia, we shape the tooth and remove all the weak part of the tooth structure and make a strong stump which will hold the crown(cap). It is a titanium post (like a tooth root) that is surgically positioned into the jawbone beneath the gum that allows to mount a crown. 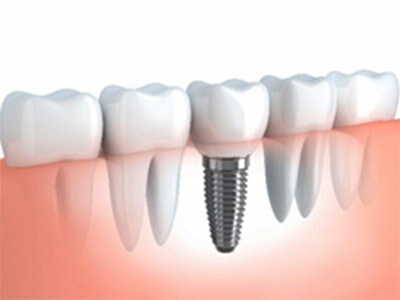 You must have healthy gums and adequate bone to support the implant. 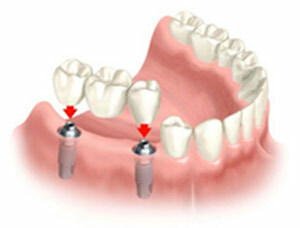 It consists in one metal-porcelain piece that has two crowns jointed to the artificial(missing tooth) in the middle. Under anaesthesia, we shape and remove the weak parts of the teeth next to the gap, take a mould, send it to the lab and once the bridge arrives it is bonded to the natural teeth. We match the colour and bite with the opposing and adjacent teeth. 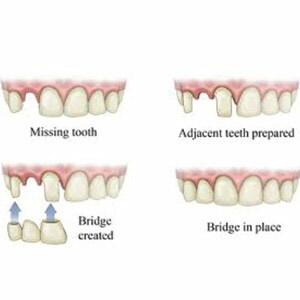 When the gap (missing tooth area) has gum or bone recession. 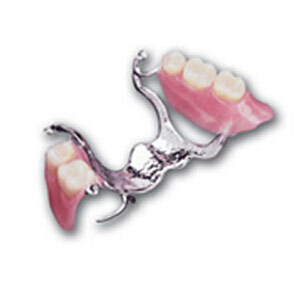 A removable denture is the most affordable option. Also, it provides support for your cheeks and lips. When we design your denture this way it can reduce the amount of lines and wrinkles around your face, resulting in a more youthful look.